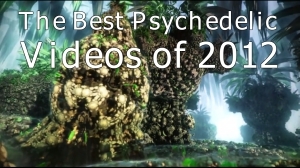 As in every year, the Daily Psychedelic Video celebrates new year’s eve with a selection of the best videos that appeared on the DPV this year. 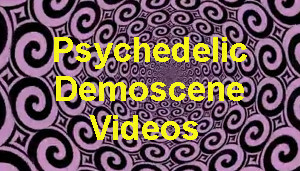 We recommend dedicating an evening to watching these videos on big, high-rez screens, with good speakers and in a receptive, psychedelic state of mind. 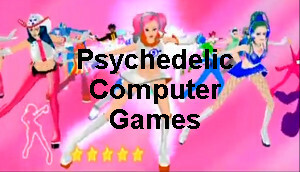 Let these videos take you on a journey. 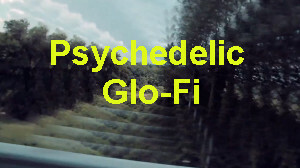 MGMT have been amply featured here on the DPV in the past, but their new videos, which came out published this December is to our mind their masterpiece so far. While the tone is at times rather dark, the clip more than makes up for it with a strong tune, stunning, vivid imagery and animatic prowess. (Original post). Back to nature in a powerful music clip which breathtakingly and effectively utilizes collage techniques to bring the point home about nature and the ecological catastrophe. (Original Post). Robert Seidel takes video mapping to the next level with this video that combines abstract video projections and immersive soundscapes with choreographed fog and water fountains. (Original post). In 2017 Bill Wurtz created this amazing video in which he tells the history of the entire universe in less than 20 minutes, from before the big bang and until the current moment. (Original post). An awesome video by Matthew Killip looks at the strange weird world of lichens following lichenologist Kerry Knudsen and his psychedelically informed ideas on lichens. (Original post). 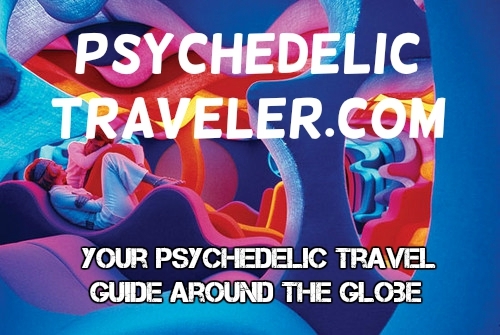 Go on a trip with some 19th century optical illusion animations (invented in 1832, this technology was called phantasmascope) brought to life and psychedlicized by Pask D’amico from Klesha Productions. (Original post). 2017 was the year when Rick and Morty went overtly psychedelic when Morty broke Rick’s vial of LSD. (Original post). Kurzgesagt finally unveil their existential philosophy of ‘optimistic nihilism’ in this stupendous video which explains why one can find immense meaning and satisfaction in life, despite our growing perception of our infinitesimal place in the universe (Original post). Björk enchants again in a video from her ninth album “Utopia” directed by the masterful Andrew Thomas Huang and exploring on the possibility of love. (Original post). A face flushed with light and color explores the possibility of video mapping on human face (original post). The mesmerizing Infinite Now brings together the incredibly detailed pictures of Australian photographer Ray Collins and turns them into an immaculate, highly-detailed film of oceanscapes (Original post). Disjointed season one animation reel. A series of short animations taken from the Netflix series ‘Disjointed’ about the life of an L.A. cannabis dispensary owner. 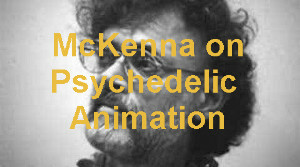 The last minute of this clip which includes an animation by Hideaki Inaba arouses particularly stunning psychedelic ecstasy (Original post). One cannot summarize a year in psychedelic video without the inescapable ‘OK Go’ video. This time the band performs together with an orchestra of printers to produce a great psychedelic symphony of printed bliss (Original post). Azulejo lovers will find much joy in this tribute to Lisboa’s Azulejo’s by Emanuelle Kabu (Original post). 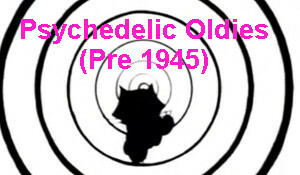 A 50th year anniversary video from for the Velvet Underground’s Sunday Morning (1967) gives a long awaited psychedelic video rendition to this classic video by the New York avant-garde group (Original post). 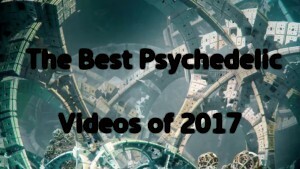 While we try our best, we can’t help but miss some of the fresh psychedelic videos out there on the web, and sometimes these get featured on the site a year or more after their release. 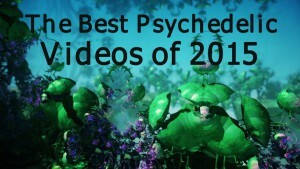 Here are some of the best videos of 2016 (and one from 2013) which we missed in last year’s list. A prefect poppy tune matched with immaculate 80’s style digital animation and a sweet story of a love that triumphs over all obstacles (original post). 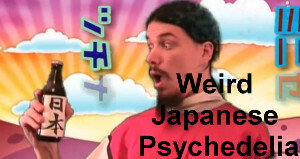 The connection between the poppy lyrics (‘girl put your love on me, Cuz I won’t let you down’) and the dancing Buddhist monks of this Thai temple seems questionable and weird, but that’s all for the better! (Original post). Master of colours, Thomas Blanchard in another high-rez video which goes into the miniscule and infinitely detailed worlds of acrylic colour mixtures (Original post). Cloud watching was always a favorite psychedelic pastime. Here you can watch some incredibly intensive storms which produce streams of flowing clouds in the sky (original post). A Pet Shop Boys-like psychedelic trip in the shiny blue sky accompanied by Australian group Empire of the Sun. 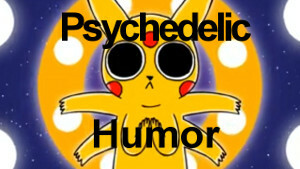 Video is by Roof Studio, and while this is all a bit tacky, the psychedelic goods keep coming. (Original post). 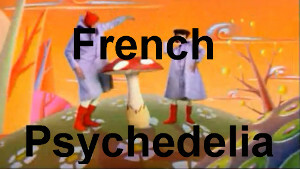 French psychedelia band Moodoïd in a powerful animistic song (I am the mountain!) (Original post). Note the melting mountain slopes, the subtly swirling forest floor.